This past weekend I had the pleasure of visiting Charlottesville, Virginia with my husband's family to celebrate his mom's birthday. 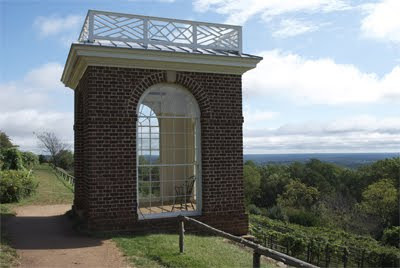 It was a great trip, we toured Monticello (the main attraction), stopped twice at Jefferson's Vineyard, and drove around UVA's beautiful campus. 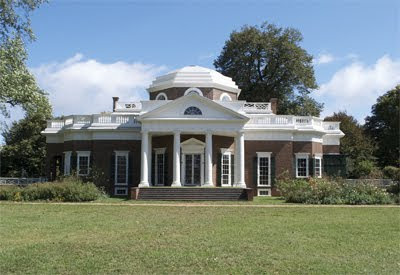 Monticello, for those of you who don't know, is Thomas Jefferson's house. 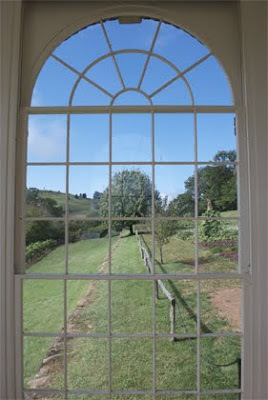 I grew up learning about this famous house and to be at the estate of our 3rd President was pretty remarkable. I didn't realize this until we toured the house but Thomas Jefferson and I are really into French decor! Every room we went into, I was oohing and ahhing over all of the architectur, furniture, and accessories because a lot of it was French. But kidding aside, it was amazing to be in the home of a great man and I would encourage anyone to take a trip here if possible. Trisha, my future sister-in-law (can't wait! 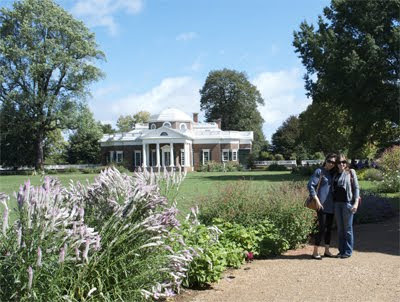 ), and I on the grounds of Monticello. 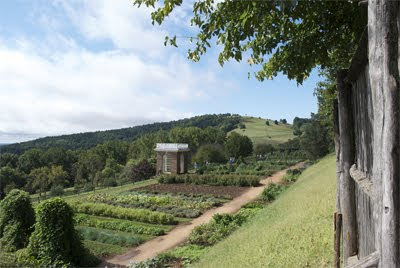 The occupation that Jefferson wanted people to remember him by was that of a farmer. Getting back to home decor, I was tickled pink when we went into the dining room because right there on one of the tables in the separate tea room were these tea spoons that looked just like the Anthropologie ones I mentioned in my Kitchen Goods Wish List Part II post! And the plates that were set were blue and white porcelain - exactly what I adore. *Sadly, we were not allowed to take any photos/videos while we were inside the house. Well, a stop at the gift shop was a must after seeing all of the goodies in the house. A good thing too since now I've got a new addition to my Little Black Book section on the right-hand side. Don't worry, you don't necessarily have to come all the way to the gift shop to enjoy what's there - you can check out their gift shop online. Here are some of the items I had to pry myself away from - my wallet appreciated that even though I didn't. Very similar to the Orange Yuan Lamp but a little too short for my needs. 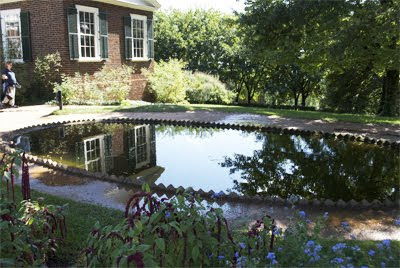 Convex Federal Mirror for $360.00. Blue Italian Spice Jars for $79.00. Jefferson French Wine Bottle for $49.00. A reproduction of the bottles that Jefferson ordered from French vineyards. Berry & Thread Casserole Dish for $49.99. White Party Set for $45.00. Crystal Water Pitcher for $29.99. I love the look of old glass and while I don't think this is particularly that old, it's definitely got that wavy look that I love. Spode Garden Plates for $59.00. Sèvres-Inspired Dinnerware: Twenty-piece Set for $350.00. Might have to ask the husband to get me this for Christmas.